Much buzz and attention has been given to the Apple iPad, while the jury may still be out as to what Apples tablet is or isn’t useful for, one thing is true, it packs apples first self-branded processor. Apple touted the processor of the iPad as a new creation and the most advanced yet, which is a bit of a stretch. 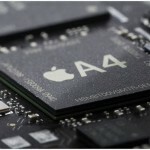 The Apple A4 is a ARM Cortex-A9 based SoC, it uses the ARM Mali graphics core (which is fairly robust). It was Created by P.A. Semiconductor who Apple purchased a couple years back. P.A. use to be a PowerPC company, apparently not any more. It makes sense for Apple to use an ARM based processor in the iPad as that is what powers the iPhone and iPod. The Mali graphics core is a bit of a mystery, as Apple holds a license to its competitor, made by PowerVR, and alas the iPhone uses a PowerVR core and not a Mali core. Essentially the Apple A4 (based on what we currently know about it) is an off the shelf design. It is not any thing revolutionary, or in fact new at all. The Nvidia Tegra 2 is also a 1GHz ARM Cortex-A9 processor. TI has a 1GHz OMAP, Qualcomm the 1GHz Snapdragon (soon to be 1.5GHz), ST has the Nomadic, and Marvel has a 1.2GHz ARM. Perhaps then, the iPad is a ‘version 2’ product, much like the very first iPhone, Apple has lots of room to make it better, to make it outperform, and not merely match the competition. Time will tell. 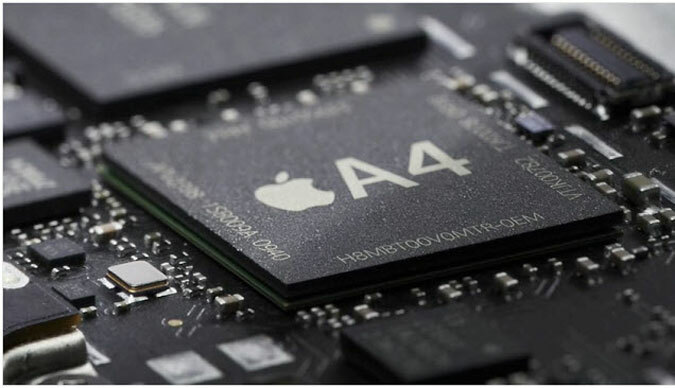 UPDATE: It has been confirmed that the A4 uses PowerVR graphic (same as the iPhone) and not a Cortex-A9 but a older Cortex-A8. An even less revolutionary design. I would imagine the work APple did on the A4 involved disabling/removing various features not needed by the iPad in order to cut the power consumption even more.